Ever since moving to Monrovia, Ready Artwork has worked closely with the city on various projects. 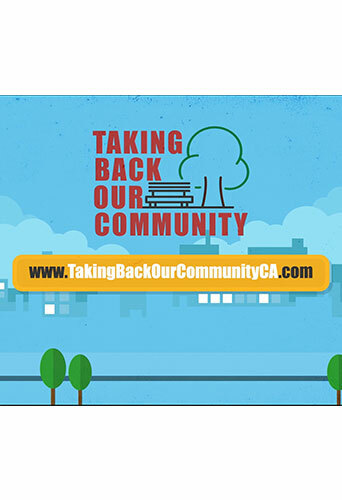 We’ve created motion graphic videos and websites for several of their campaigns and after much success with those projects, the city approached our team about redesigning the branding of their Old Town community. Old Town Monrovia is the heart of the city, packed with around 400 diverse businesses and historic buildings. The City of Monrovia has been around since 1866 and the Old Town itself has been running for 26 years. While the city has much history, the client wanted to revamp the branding to be more modern and garner more awareness outside of the city. There has been growth in the biotech industry and technology so the goal for the logo was to reflect a blend of small town charm with booming technology and progress. 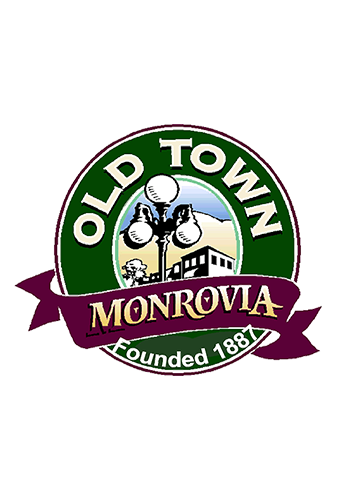 The city board loved what our designers accomplished with this logo and we were given many more projects like the Old Town Monrovia website and video to work on. Continue reading to find out more about our team’s logo process and how we accomplished the city’s goals. Our designers communicated very closely with the City to understand what they envisioned for the logo. The existing logo was very dated because it had a lamppost, so the client wanted to remove it to make the logo more modern and timeless. In addition, the client didn’t want to include any businesses or landmarks for fear of dating the logo or even misrepresenting the Old Town Community. 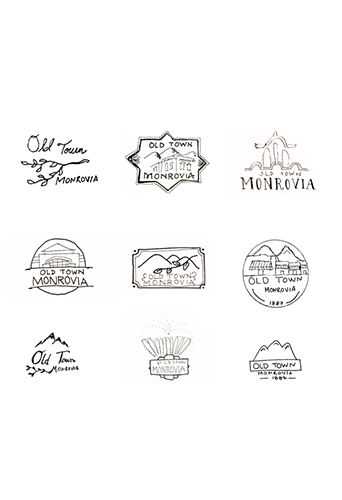 Our designers looked into the logos of neighboring cities to draw inspiration before starting. Our logo process includes 12 napkin sketches to start identifying what the client likes. 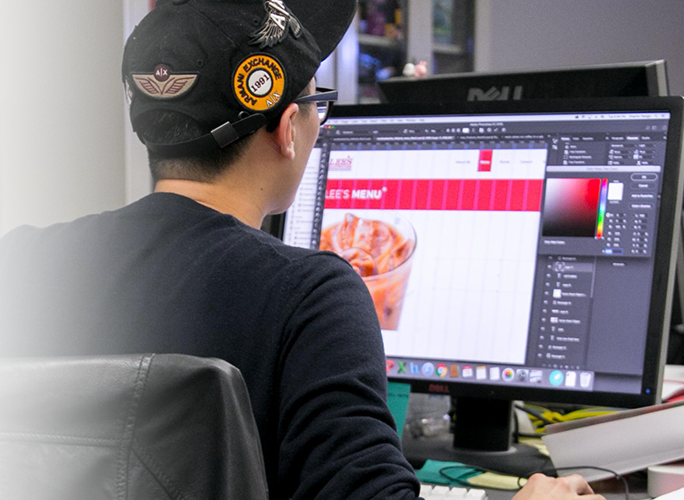 From there, our designers go through more research, color study, and typography study before narrowing down a more finalized design to show to client for revisions. Our designers created a final logo that is clean and more contemporary, yet heartwarming and inviting for people of all ages that visit Old Town. The old logo included a lot of small text and did not pop. 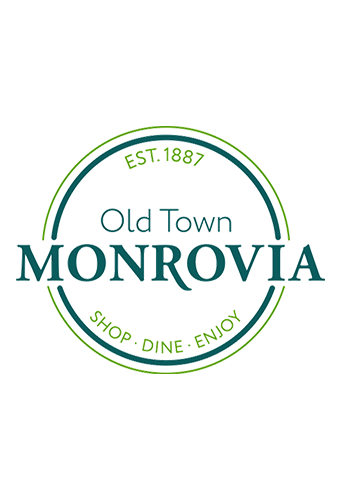 In contrast, the new logo is much more dynamic, bold, and more representative of what Old Town Monrovia has become. The new Old Town logo is simple yet absolutely timeless. 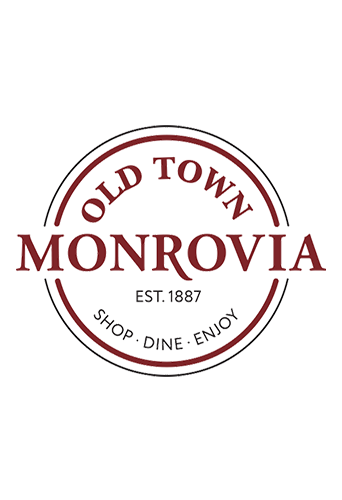 It can stand the test of time and be used on the Old Town Monrovia website, promotional material and banners for years to come. If your business or organization needs a logo that properly represents it, contact our team today!